Kenrich heavy duty grout pumps will pump most of your prepackaged general purpose non-shrink cementitious grouts, including sand based grouts and cement mixes. We don't recommend the use of epoxy or hybrid grouts in our pumps. However, under certain conditions, some will work. Contact our Kenrich sales office for more information. Kenrich grout pumps work with a wide range of cementitious grouts from all the leading manufacturers, including Five Star Grouts, Sika Grouts, and BASF Grouts. Our heavy duty grout pumps are versatile enough to handle both standard pre-packaged mixed grouts and specialty grouts. 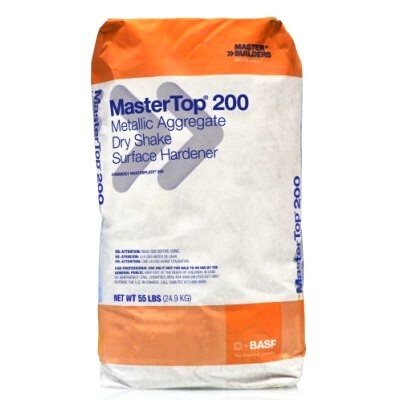 Made by BASF, a one-component, shrinkage-compensated, self-consolidating repair mortar, designed for large volume repairs. Applications include structural elements in applications from 1.5" (38 mm) to full depth. 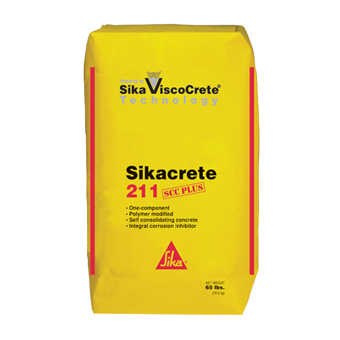 Made by Sika one-component, self-consolidating concrete containing factory blended coarse aggregate. This self-consolidating concrete bag is silica fume and polymer modified and a migrating corrosion inhibitor. 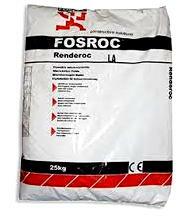 Made by Fosroc, a shrinkage compensated, micro concrete (R4) designed for the reinstatement of reinforced concrete where low permeability characteristics are required and where high compressive strength is a consideration. Developed for the repair of large areas of concrete where access is restricted or where reinforcement is congested. These represent standard flow rates. Output and performance will vary depending on the cycle rate and the viscosity of mixture and pressure conditions. The Kenrich line of heavy-duty grout pumps are designed to pump non-shrink sand based cementitious grouts. However, if you need to pump Grout with AGGREGATE, we recommend a factory premix grout in the bags with no bigger than 3/8” pea gravel. Crushed rock/stone 3/8" in size and larger. Not recommended for jagged edges, although some contractors have made it work. With a variety of models to choose from, Kenrich Products has the right solution for nearly any grout pumping application. Request a quote on the grout pump you need, or contact us to discuss your specific pumping needs.